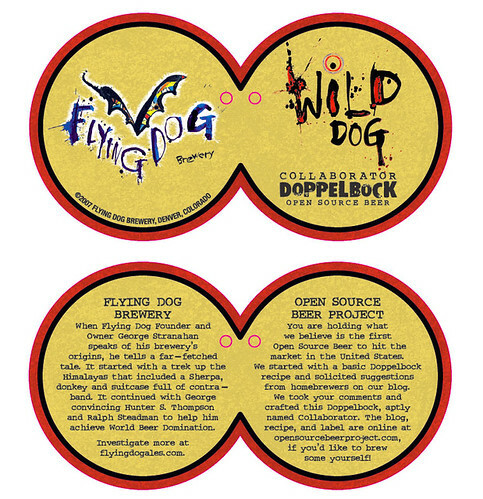 Denver’s Flying Dog Brewery today announced plans to release what is believed to be the first “open source” beer to hit the market in the U.S. “Open source” is a term most commonly used in the software industry and refers to any program whose source code is made available for use or modification as users or other developers see fit. In this case, Flying Dog’s Open Source Beer Project will allow beer drinkers and homebrewers to create and recommend changes and modifications to the recipe. If you brew it, send us a bottle (I work at Flying Dog) - we'd love to see how the fruits of your labor turned out! Seriously, thanks for stopping in! I think that could probably be arranged. Send me your contact info. That's great! I'll send you an email shortly with my contact info.